Many sports involve an animal but its hide and we dont think about it, and you say how, like cricket, basketballs, footballs all are made with animal leather. Same in Afghanistan they dont use leather, even the game ball is a complete goat, without head and hooves. 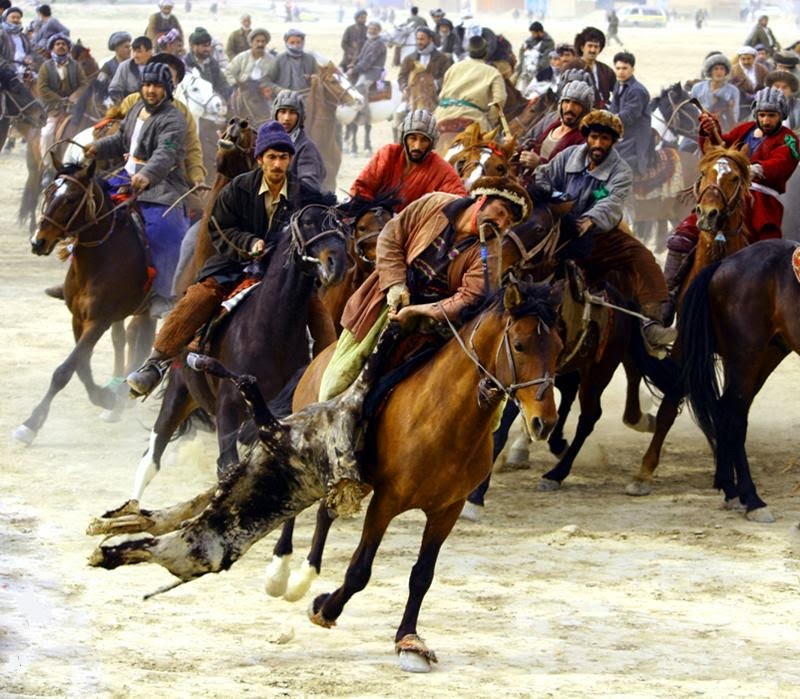 Buzkashi the national sport of Afghanistan's, means goat-grabbing. Where it is often played on Fridays and matches draw thousands of fans. 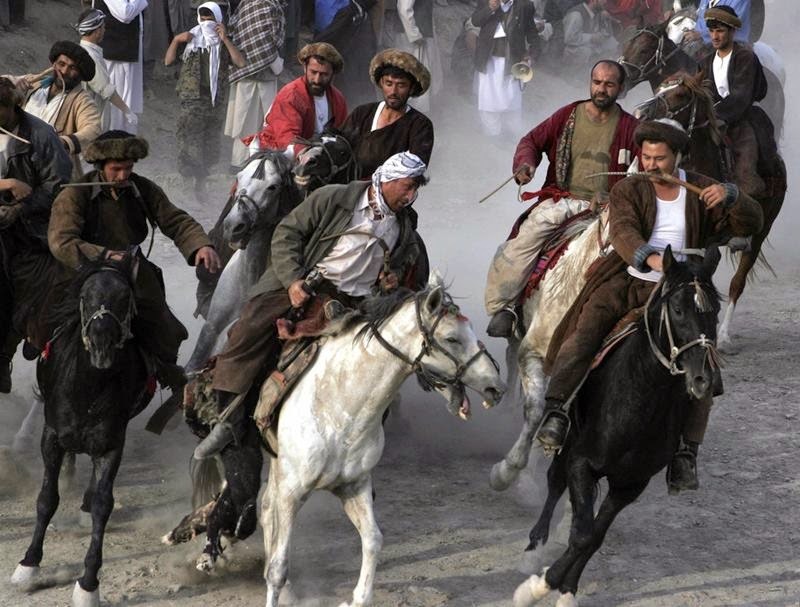 Beloved by Uzbeks, Tajiks, Kyrgz, Kazakhs, Pashtuns and Turkmens as well as Afghans, the equestrian sport known as Kokpar or Buzkashi is a rugged, and traditionally extremely violent, game similar to polo with one surprising twist; rather than hitting a ball with mallets toward a goal, players vie for control of a headless animal carcass. 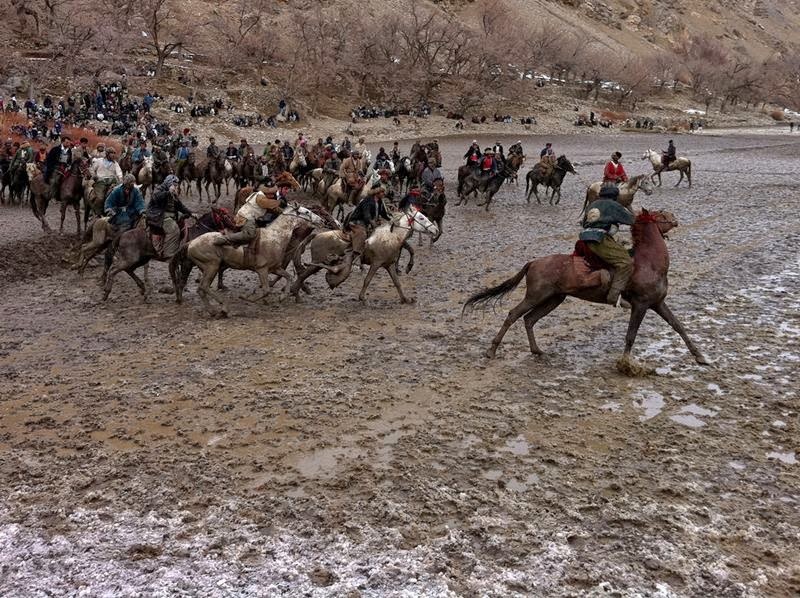 The chapandaz (rider) and their horses go through rigorous training before competing in the game. The goal is to grab the carcass of 35 Kg goat, clear it of the other players and get it into a target circle to attain points. 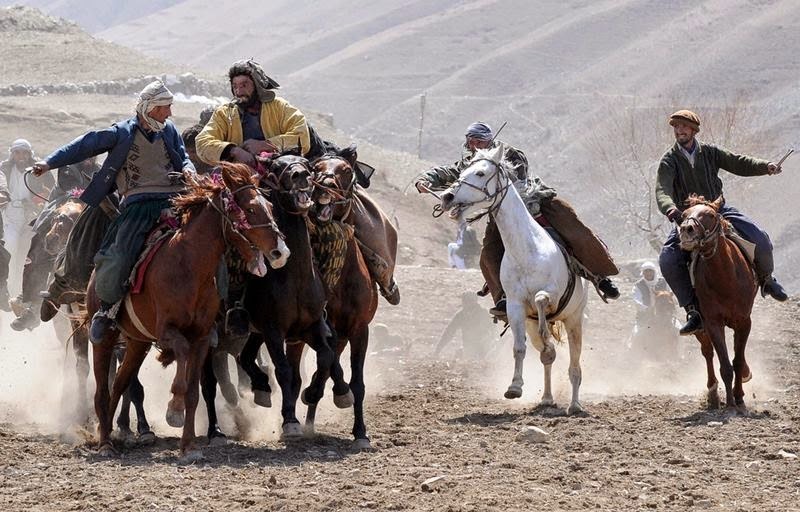 Buzkashi may have begun with the nomadic Turkic-Mongol peoples who have come from farther north and east spreading westward from China and Mongolia between the 10th and 15th centuries in a centuries-long series of migrations that ended only in the 1930s. 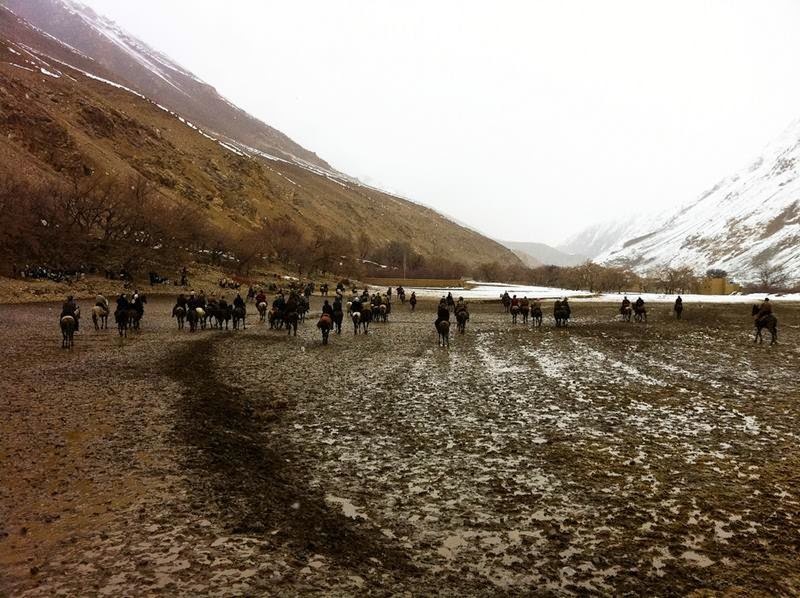 From Scythian times until recent decades, buzkashi remains as a legacy of that bygone era. 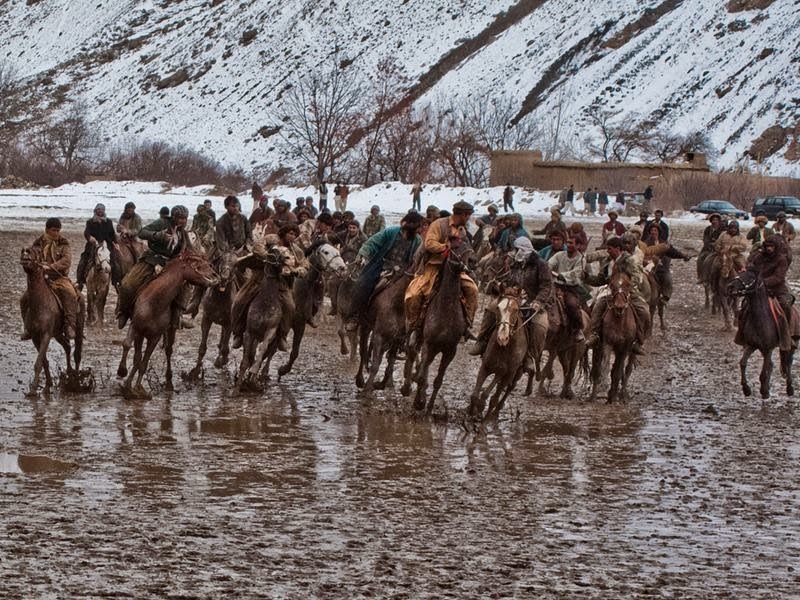 During the rule of the Taliban regime, buzkashi was banned in Afghanistan, as the Taliban considered the game immoral !! !...very funny. Since the Taliban regime was ousted, the game is now being played again. 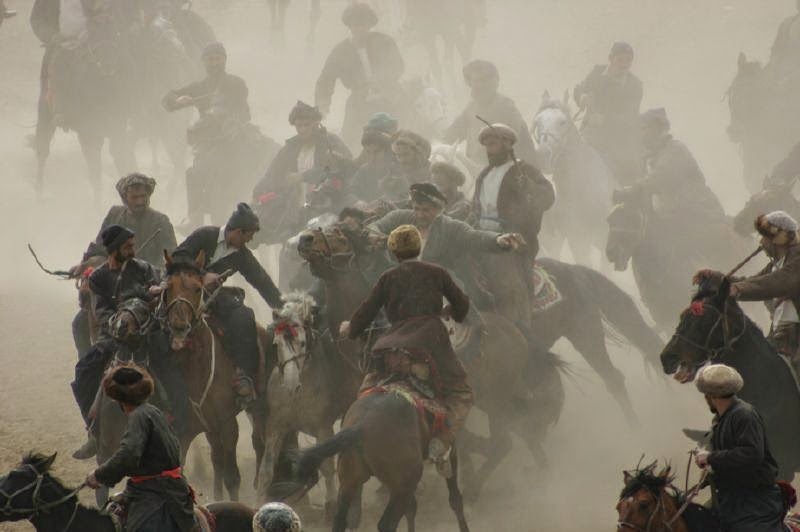 Today buzkashi is played by several Central Asian ethnic groups: Kyrgyz, Pashtuns, Kazakhs, Uzbeks, Hazaras, Tajiks, and Turkmens. 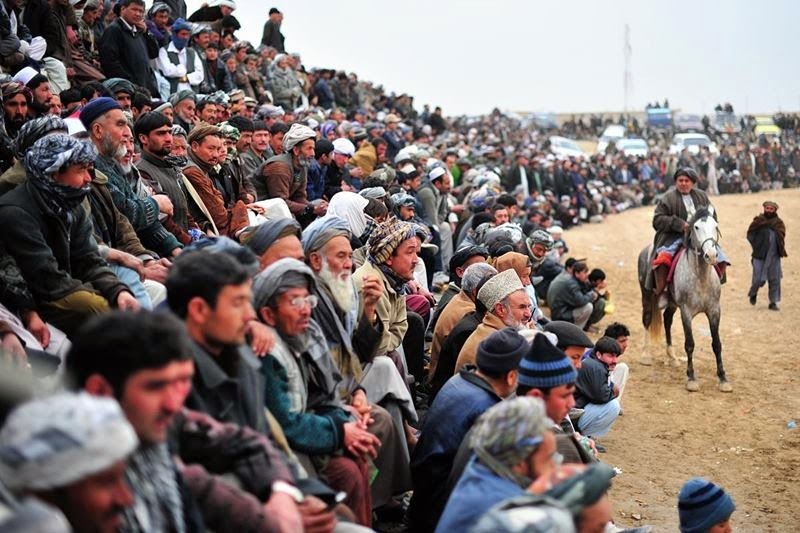 In the West, the game is also played by Afghani Turks (ethnic Kyrgyz) who migrated to Ulupamir village in the Van district of Turkey from the Pamir region. 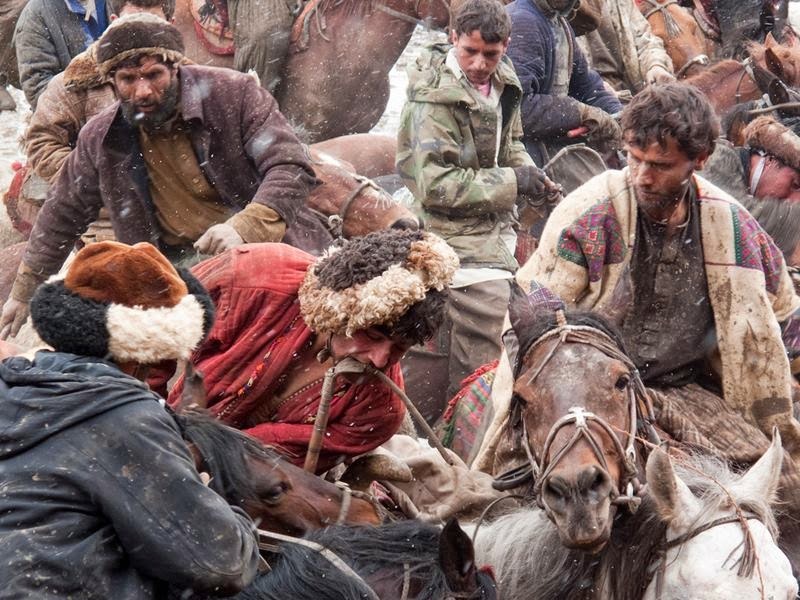 In western China, there is not only horse-back buzkashi, but also yak buzkashi among Tajiks of Xinjiang. 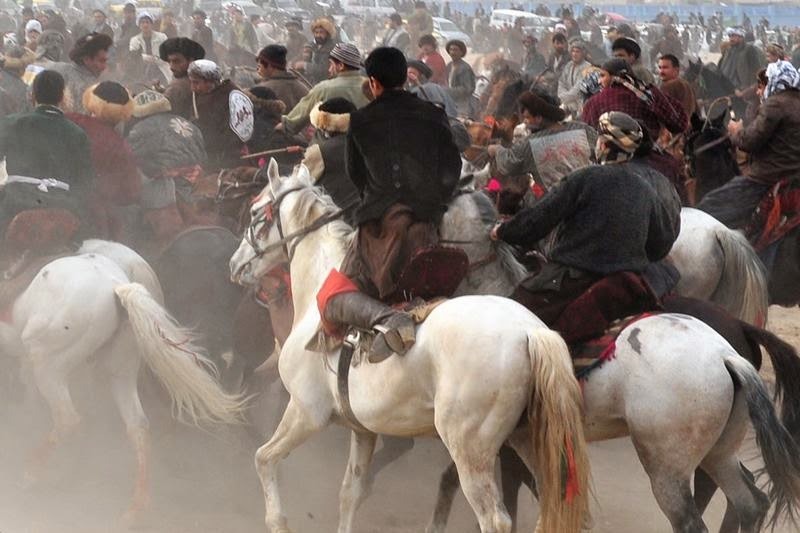 The Buzkashi game consists of two main forms — Tudabarai and Qarajai. Tudabarai is considered to be the simpler form of the game. In this version, the goal is simply to grab the goat and move in any direction until clear of the other players. In Qarajai, players must carry the carcass around a flag or marker at one end of the field, then throw it into a scoring circle (the "Circle of Justice") at the other end. 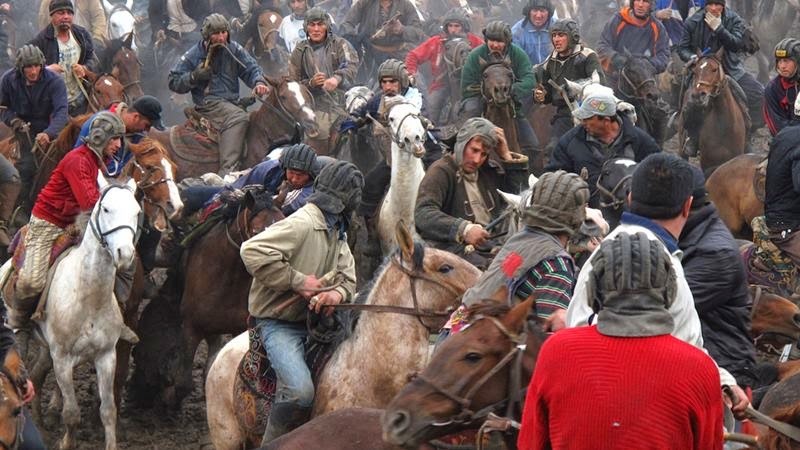 The riders will carry a whip, often in their teeth, to fend off opposing horses and riders.